An efficient carrying solution for your next excursion. While there have been some contenders squaring up against the industry-standard Tumi, there haven’t been many options for the casual to semi-frequent traveler who is looking for something with quality, function, aesthetic, and value. Which is squarely where Muji’s line of hard cases shine. The Japanese retailer, known for minimal, practical, and well-designed housewares and apparel basics, has delivered the same here with three pieces of affordable yet artfully constructed luggage. 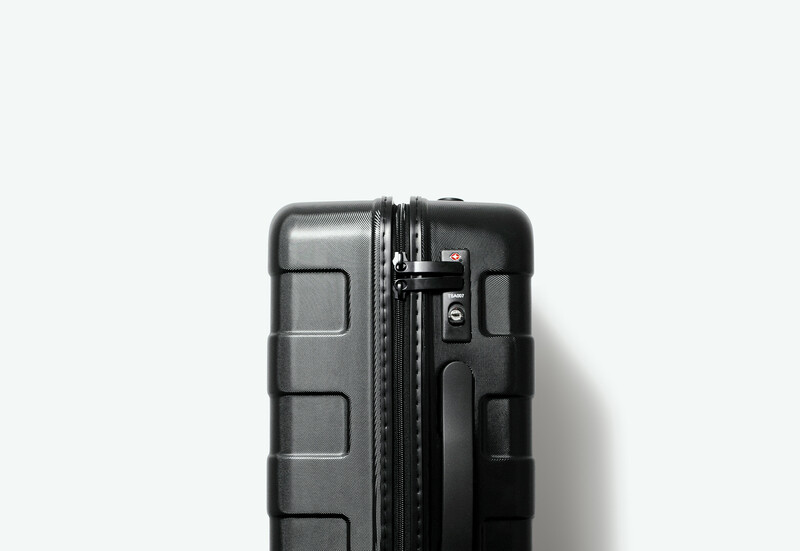 Offering spinner hard cases available in three sizes — 33L (pictured), 60L, and 85L (each referring to their respective carrying capacities in liters) — each is available in a variety of basic colors like beige, black, sky blue, and navy. Favoring lightweight and mobile travel, we picked the 33L. A TSA zipper lock, four spinner wheels, mesh compartments and pockets, and a wheel lock tick all the primary boxes. 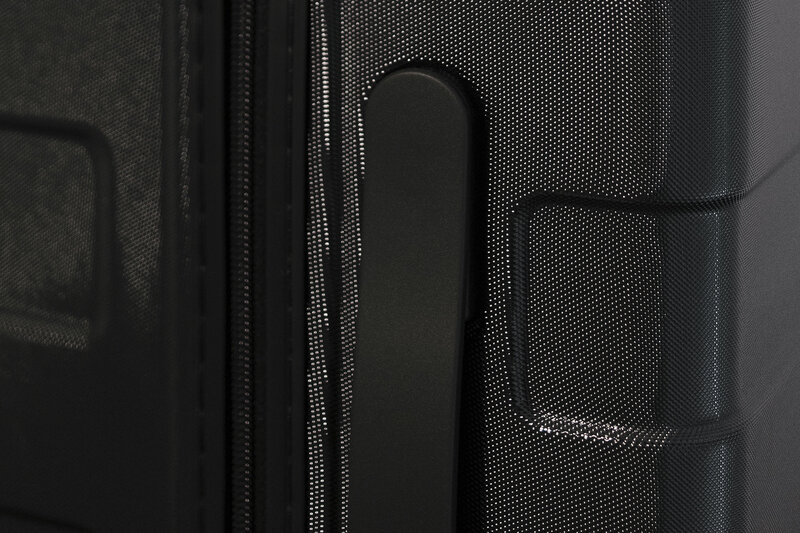 The hard shell is made of lightweight yet durable polycarbonate, and it’s quite attractive while not being a recognizable target for theft (like a Rimowa). 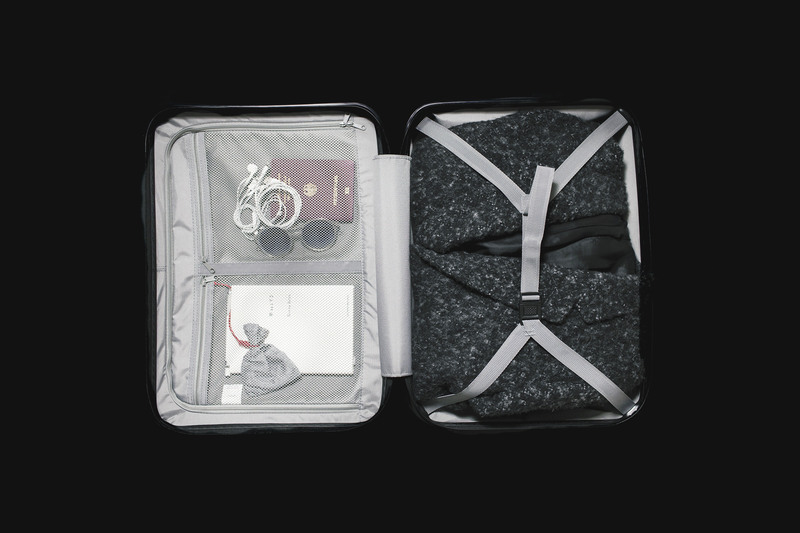 It’s easy to lift the 33L packed full of clothes into that overhead bin, but you’ll feel confident it will stay protected even if you’re forced to check it below. The 33L measures 22 inches x 14.8 inches by 9.2 inches, making it appropriate for even the most stringent of carry-on requirements. This, combined with a relatively short 9” handle may make it unsuitable for taller travelers, but it should fit the bill for just about everyone else. And, while we’re talking specifics, the aforementioned wheel-lock proves to be more than just a nice-to-have. If you do any traveling in hilly cities like San Francisco or have mass transit as part of your itinerary, locking your wheel position is a supreme convenience. It’s the little things like this that Muji does so well. Their user-centric designs allow for convenient, regular use of items with benefits that remain unnoticed until they’re not there. Which is, honestly, what you’re looking for when replacing that ratty, nylon-wrapped roller from 2003 anyway. If you’re even considering a new piece of luggage for travel over the holiday season (and 2017 and far beyond), Muji should be a strong contender on your list. If you favor lightweight and mobile travel, pick the 33L. Available in the US in beige, black, sky blue, and navy. This is the only suitcase you need. No matter where you’re going.